I gotta tell ya, I’m in love with my Crab Stuffed Bacon Wrapped Jalapeno Poppers and they’re just great for a Superbowl or any party. But I need a little Old Bay Seasoning for those. Old Bay isn’t something I use often, so I mix up my own and when I do, I try to think about ways to use up the last bit. 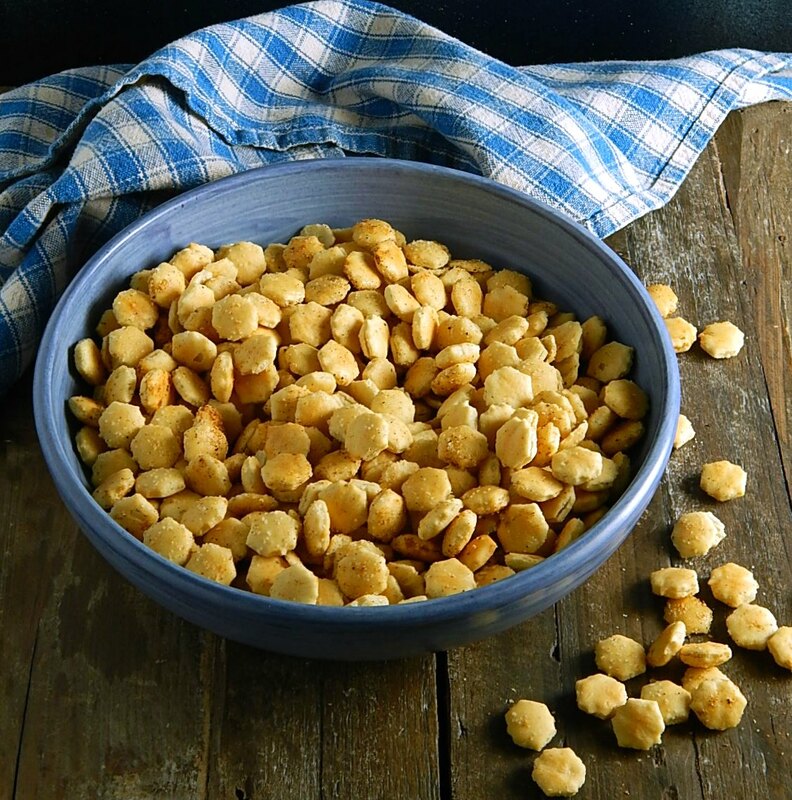 Long story short, that’s how these Old Bay Oyster Crackers came about. 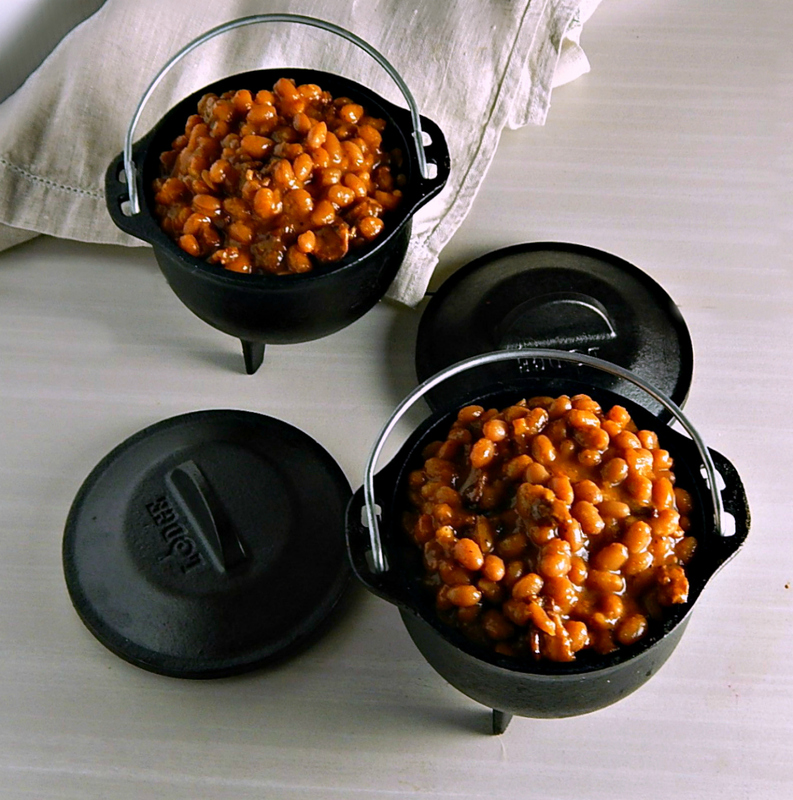 One of the most frugal sides you can make for any casual gathering is Boston Baked Beans. Best of all, one of the most delicious sides you can make is Boston Baked Beans. Isn’t it nice when the universe aligns like that? Especially when the Boston Baked Beans are from the Bull & Finch, Cheers Boston Baked Beans Instant Pot or Not and they’re amazeballs! 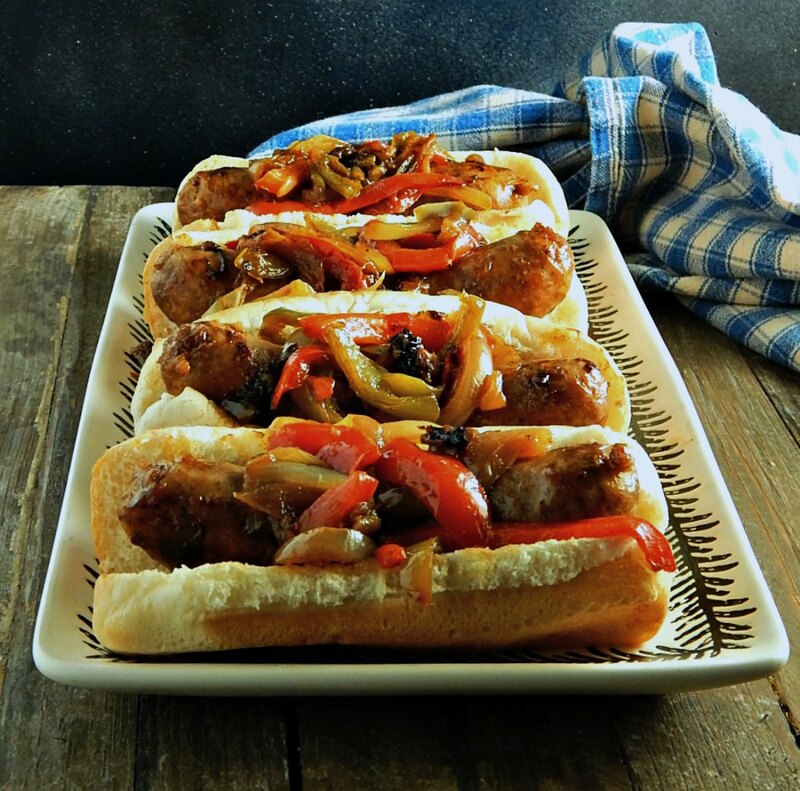 So last week I posted Philly Cheesesteak Sliders (in honor of the Philadelphia Eagles – that’s before I knew how badly our Vikings were going to be trounced!) This week, I thought what the heck. New England Clam Chowder was in order to represent the New England Patriots. For the Superbowl, eh? You betcha. We’re hosting it in Minneapolis this year, so that’s exciting. And whether the Eagles or the Patriots win, you’ll have a win if you serve this New England Clam Chowder. 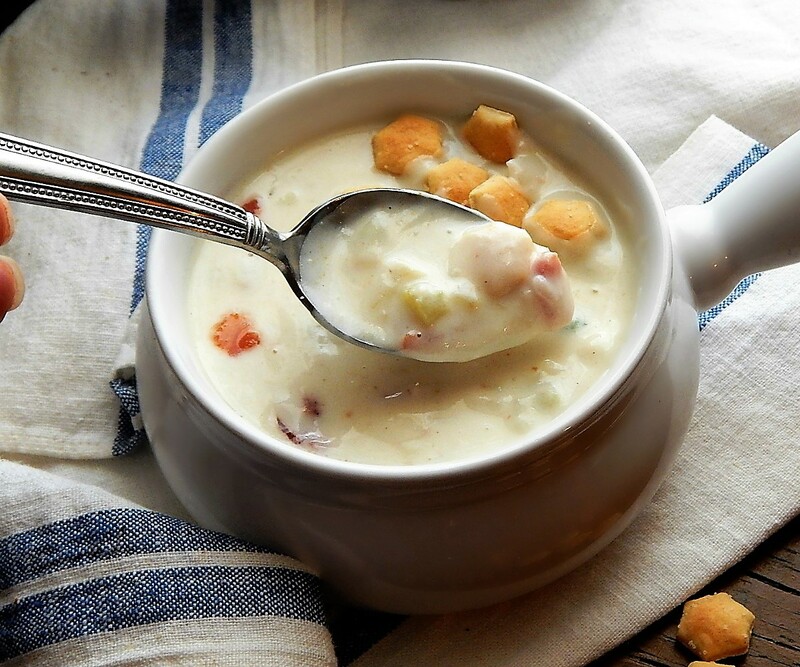 New England Clam Chowder – make this as thick or as thin as you’d like, very easily!